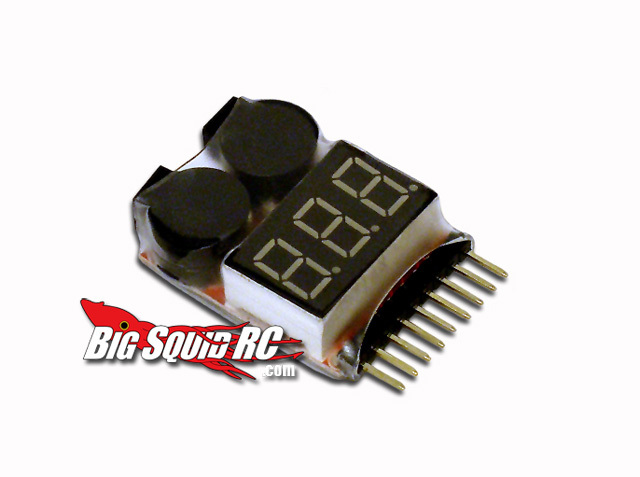 MaxAmps.com Low Voltage Alarm « Big Squid RC – RC Car and Truck News, Reviews, Videos, and More! MaxAmps has sent word that they have a new LiPo product/accessory available. It’s the smallest Lipo Battery Tester and Low Voltage Alarm. Just plug it into the JST-XH style balancing tap on your LiPo battery during discharge and it will let you know when it’s time to unplug. It will also let you check the status of your pack at any time. The LVA (Low Voltage Alarm) measures 40mm x 25mm x 11mm and weighs in at only 5 grams.